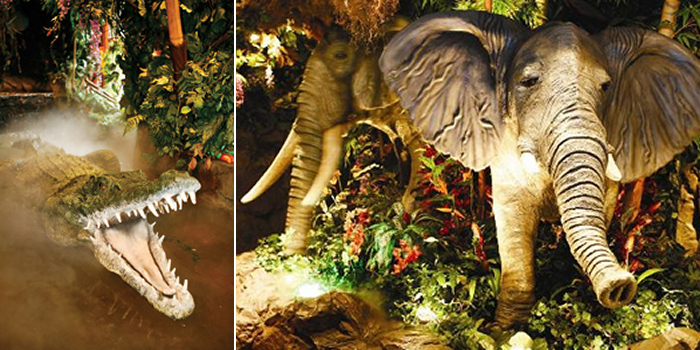 Inspired by the New Jungle Book film (which I still need to go and see) I was remembering the wonderful experience at the Rainforest Café London, a really fun, tropical rainforest themed restaurant in the heart of the urban forest of London. 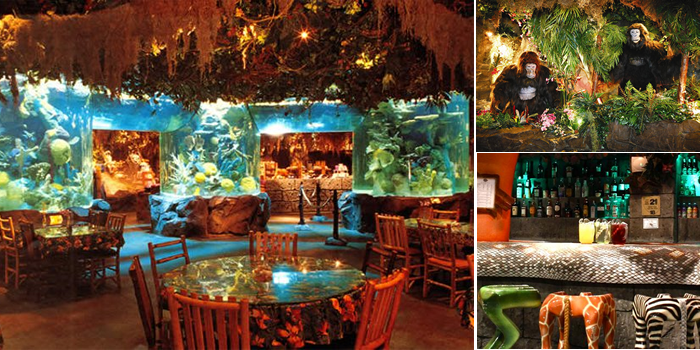 The Rainforest Café brings exotic and endangered environments to the forefront of your dining experience. This wonderful place can be found on Shaftesbury Avenue just behind the Trocadero Centre in Piccadilly, London. 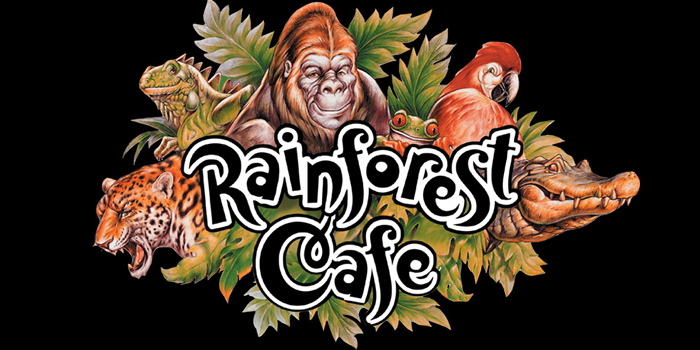 The rainforest theme is evident on entrance a tropical coloured sign outside with a tropical coloured theme which welcomes you to the jungle. The use of nature and colourful shades is used throughout giving you the sense of wanting to explore which you really can’t ignore and I felt like a child again. Greeted by a crocodile which unfortunately isn’t real however it does move and look very real plus the waterfall leaves your imagination to run wild. The main restaurant is downstairs after descending down the big tree (sorry stairs) it feels like the whole place is alive you definitely feel like you’re in the rainforest, with mists and animal noises such as monkeys chattering away creating the atmosphere it really is hard to remember you are in the capital. The theme is not only prominent through using background noise effects, the wall décor, the staff uniforms and the furnishings all portray the sense of being a part of the rain forest. Lightning flashes and thunder accompany the animal sounds (you are after all in the rainforest) and there is a huge tropical fish tank creating striking colours across the room. This amazing room included other animals such as elephants, gorillas and lizards with their own distinctive noises emphasising the theme. Everywhere you look there is something to grab your attention. Very exciting. The furniture reflects the Ancient Aztec culture and are manufactured from natural wood. The slatted chairs that seem like they were built by the Swiss Family Robinson compliment the jungle theme very well and are more comfortable than they look! 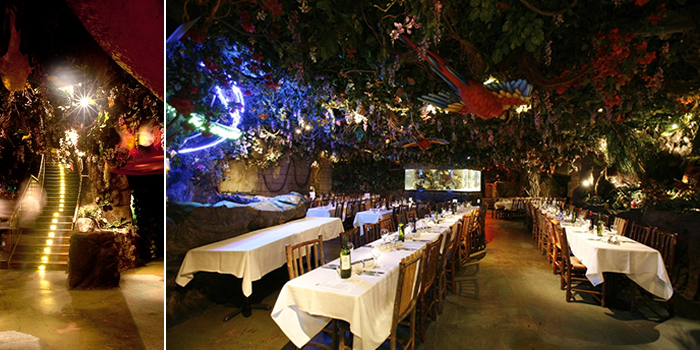 A wonderful experience for children and adults, I couldn’t recommend this restaurant more! It took me a while to get over the excitement and was a little sad when I left back into the urban jungle to catch the train home.